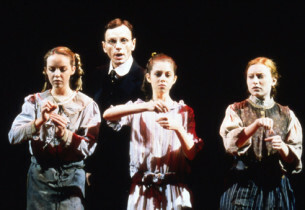 Inspired by a 1913 case in which a Brooklyn-born Jew, Leo Frank, was wrongly accused of killing a young girl in Atlanta, Parade provided composer/lyricist Jason Robert Brown, in his first Broadway effort, with the unique opportunity to create a compelling musical drama that opened at the Vivian Beaumont of Lincoln Center on December 17, 1998. Directed by Harold Prince, with a book by Alfred Uhry, the show starred Brent Carver as Frank, and Carolee Carmello as his wife Lucille, who waged a campaign to prove her husband’s innocence, eventually convincing the Governor to overturn his death sentence, only to see Frank taken out of jail one night and lynched by a mob of vigilantes. Unique as it might have been, the show proved a hard sell, and played only 84 performances. 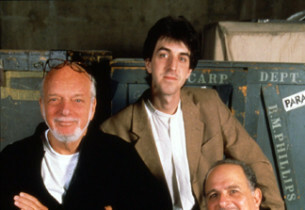 Both Uhry and Brown received Tony Awards® for their efforts, with the show itself collecting nine nominations.